We mainly sell moulds produced by Form + Test which are made of steel. 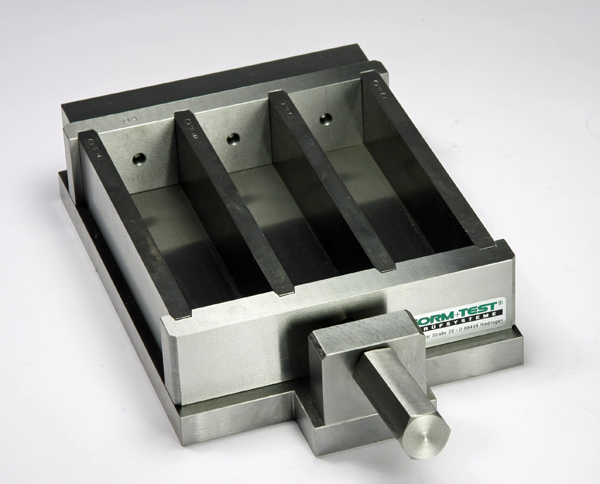 We also offer steel mould with bore holes for shrinkage measuring. Special plastic self-lubricating moulds made of white special plastic (Hakorit) and moulds made of polystyrene.